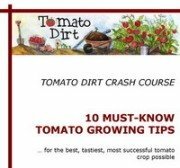 Freezing tomatoes whole is the quickest method for processing them – period! Place tomatoes in a single layer on baking sheets so that sizes don’t touch. Remove tomatoes from freezer. Work quickly to transfer to containers and seal. Label tomatoes with name and date. Return them to the freezer. To use frozen whole tomatoes, remove them from the freezer. Select a few at a time to use or thaw the entire container. To peel frozen tomatoes, remove them from packaging containers. Run them under tepid water for several seconds. Skin will peel off easily. Let tomatoes defrost completely in a bowl or by setting the container in the sink. Fill containers with tomatoes. Label containers. 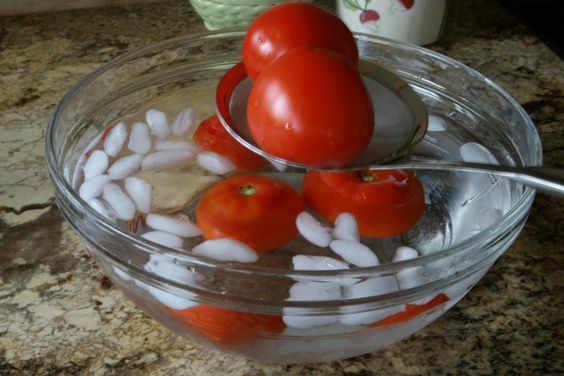 Let tomatoes thaw completely in a bowl or by setting the container in the sink. Get more tips on our Freezing Tomatoes Pinterest board.